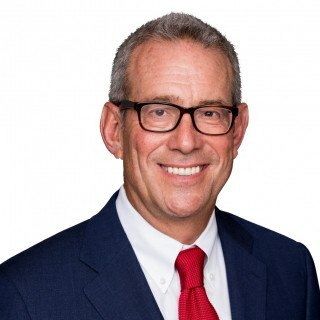 Steven M. Levin is the co-founder and senior partner of Levin & Perconti, and a trial lawyer with more than 25 years of litigation experience and success. In 1992, he and John Perconti founded Levin & Perconti, which has since grown into a twenty-lawyer plaintiff personal injury firm with more than 135 years of combined trial experience. Steve has obtained an extraordinary number of multimillion dollar verdicts and settlements for his clients in a tremendous variety of personal injury and wrongful death cases, including birth injury, failure to timely diagnose cancer and workplace negligence. His most recent victories include a $7 million judgment for his client against a doctor who failed to diagnose postpartum bleeding, and a $6.7 million medical malpractice verdict against a hospital involving a birth injury case. Steve has appeared on ABC, NBC and CBS news programs for cases which have attracted both local and national attention. Over the past eighteen years, Steve has established a reputation as one of the country's top litigators in the highly-specialized area of nursing home abuse and neglect. He has represented hundreds of nursing home residents and their families who have been victimized by improper care and treatment, achieving landmark victories and record-setting verdicts and settlements for his clients in these cases. More importantly, Steve's vigilance in representing such victims has brought national attention to this rampant and unacceptable problem, sending a message that mistreatment of one of society's most vulnerable groups will not go unnoticed. The "AV" rating from the Martindale-Hubbell American Law Directory indicates preeminent legal ability and very high ethical standards. The Advocacy & Litigation SIG Advocate: National Academy of Elder Law Attorneys, Inc. Libel and Slander - A State is Precluded from Imposing Liability Without Fault or Presumed or Punitive Damages in teh Absence of New York Times Malice - Gertz v. Robert Welch, Inc. Nursing Home College: Depositions, Washington, D.C.